With fruit that is slightly acidic, sweet and crisp, the Anna Apple tree is one of the more reliably producing varieties. Anna Apples can be canned, juiced milled into apple cider or eaten raw or cooked. The trees bloom in mid to late spring, and performs ideally in normal to moist soil. California Tropical additionally provides the Anna Apple tree in an Espalier configuration, convenient for smaller landscaped spaces or incorporation in trellis designs. Similar to a McIntosh, the fruit of the semi-dwarf Beverly Hills Apple is slightly tart and tender. The Beverly Hills Apple typically fruits in early fall, and grows ideally along the cool Southern California Coast. 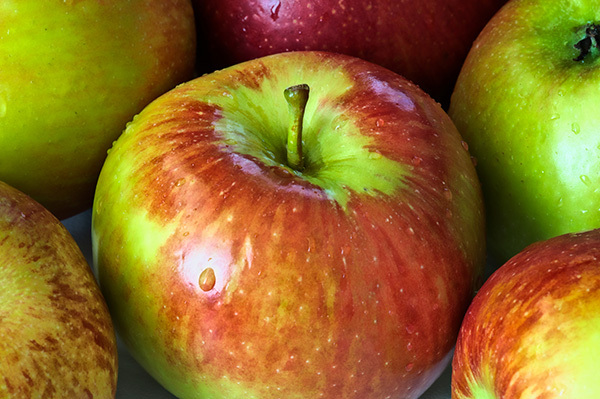 Cross-pollination with most other Apple varieties is also an option. 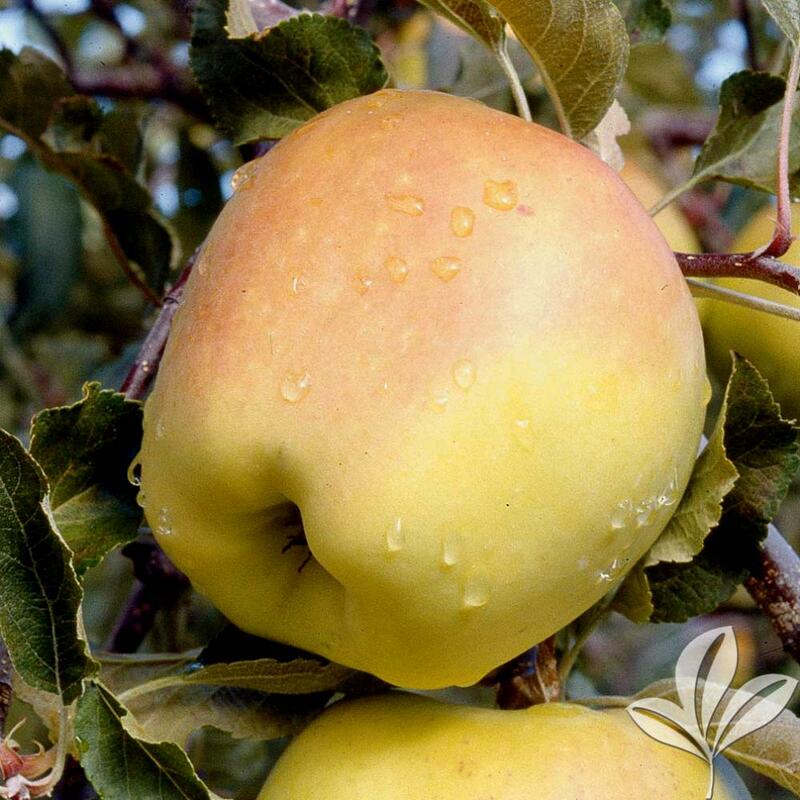 Producing medium to large fruit that is firm yet smooth, the Golden Dorsett Apple is an excellent cross-pollinator with the Anna Apple tree. The sweet, tart flavor of the Golden Dorsett’s fruit holds well through cooking, making it a superior choice for baking into an apple pie. The Fuji Apple is a cross between the Red Delicious and Ralls Janet varieties. One of the newest Apple varieties, it was commercially released in 1962, and its fruit is ideal eaten fresh and uncooked. California Tropical additionally provides the Fuji Apple tree in an Espalier configuration, convenient for smaller landscaped spaces or incorporation in trellis designs. Preferring high humidity, moderate summers and cold winters, the Pettingill Apple tree bears round fruit with a reddish-green skin that is great fresh or cooked. 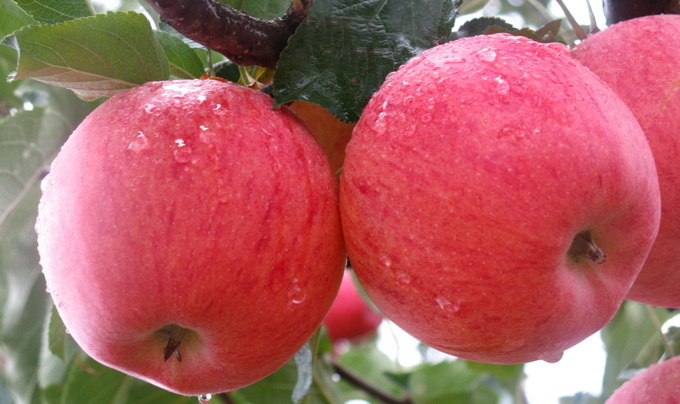 The Pettingil Apple is ideally grown in full sun, and flexible in its soil condition requirements. The Winter Banana Apple tree is tolerant to mild winters, and produces beautiful, large, light yellow fruit with a pink blushing to the skins and a crisp, tangy taste. It requires a moderate amount of pruning and shaping to ensure ultimate health and productivity. This is the perfect tree for a lover of apples but someone that doesn’t just want one apple all season. This tree produces Anna, Fuji, and Dorset Golden apples. Typically, all the fruit will mature in the Autumn. The Pink Lady brand was the first apple with a trademark and is the only truly pink apple on the market! It was developed in Australia in 1973 by John Cripps and is a cross between a Golden Delicious and a Lady Williams apple. It is a very versatile apple and can be enjoyed fresh off the tree, baked into desserts, or tossed into a salad.